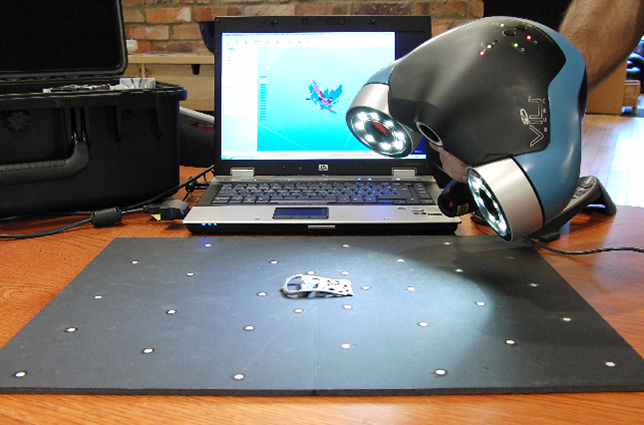 Artec 3D scanners give St. Cloud State students access to objects once deemed too fragile or small to view. St. Cloud State University's Visualization Lab has added high-precision 3D scanners to its technology portfolio, allowing students and faculty to examine objects that previously were inaccessible. The Minnesota university chose Artec 3D to provide the 3D scanner hardware and its Studio 10 software, along with a dedicated server, touch-enabled computers, standup touchscreen displays, projectors and virtual reality headsets. The technology, which became available at the beginning of the fall 2015 semester, allows St. Cloud to expand its collection of 3D models that can be studied in virtual environments. For example, through the Visualization Lab's Interactive Skull Museum portfolio, biology students now can examine the department's wide collection of cow, deer, fox, bobcat and even human skulls — specimens that often are quite delicate and cannot be handled easily. Using the 3D scanners, students have been able to create virtual objects that can be turned, shared and explored without concerns about damaging them. "This project wouldn't have been possible without Artec's technology," said St. Cloud Visualization Engineer Mark Gill. "In the past, our scanning capabilities were limited to really large objects about the size of a mini-fridge. What's more, we're able to create many of our models in a matter of hours when it would have previously taken days." Among other uses, the tools will also allow students to create 3D models of microscopic organisms like algae that can be viewed using virtual reality tools. St. Cloud's Visualization Lab, located in the school's Integrated Science and Engineering Laboratory Facility, allows faculty and students access to technology that can be used in a wide variety of cross-disciplinary projects that give students hands-on experience.